Harry Manx Thursday, 25/10/2018, Southern Pavillion, Worthing Pier, West Sussex 0800 0935337. Click here for more info. Harry Manx Friday, 26/10/2018, Going Up the Country Roots Club, Wrexham, more info to follow . Click here for more info. Harry Manx Saturday, 27/10/2018, Basement, Douglas, Isle of Man . Click here for more info. Harry Manx Sunday, 28/10/2018, Basement, Douglas, Isle of Man . Click here for more info. Harry Manx Wednesday, 31/10/2018, Robin 2, Bilston, West Midlands 01902 401211. Click here for more info. Harry Manx Wednesday, 07/11/2018, Herr Nilson, Oslo, Norway . Click here for more info. Harry Manx Thursday, 08/11/2018, Gamleskolen, Harestua, Just North of Oslo . Click here for more info. Harry Manx Friday, 09/11/2018, St Luke's, More info to follow, London . Click here for more info. 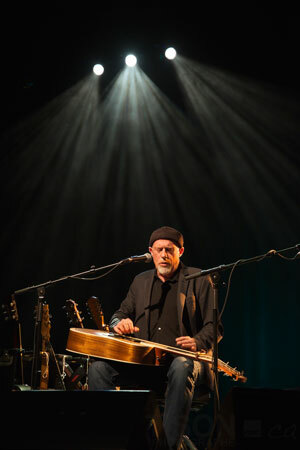 Harry Manx Saturday, 10/11/2018, Norden Farm Centre for the Arts, Altwood Road, Maidenhead, Berks 01628 788997. Click here for more info. Harry Manx Sunday, 11/11/2018, Platform Tavern, Town Quay, Southampton . Click here more info. Harry Manx Wednesday, 14/11/2018, Saltburn Blues Club, Saltburn Cricket Club, Yorkshire 07960 935263. Click here for more info. Movinmusic is pleased to confirm that it is now taking offers for Harry Manx in the UK & Europe for 2017 summer festival slots and late October in to the middle of November gigs. Interested venue owners/promoters can contact us about his availability viaity via e-mail or 0044 (0)1209 860067.